Anglian conservatories match affordability with beautiful design and substance. If you are looking to upgrade your existing space or add a new extension, we have a range of conservatory styles and colours to choose from. This includes traditional glass, polycarbonate or solid conservatory roof options. Grand extensions in a variety of styles providing warmth and security. 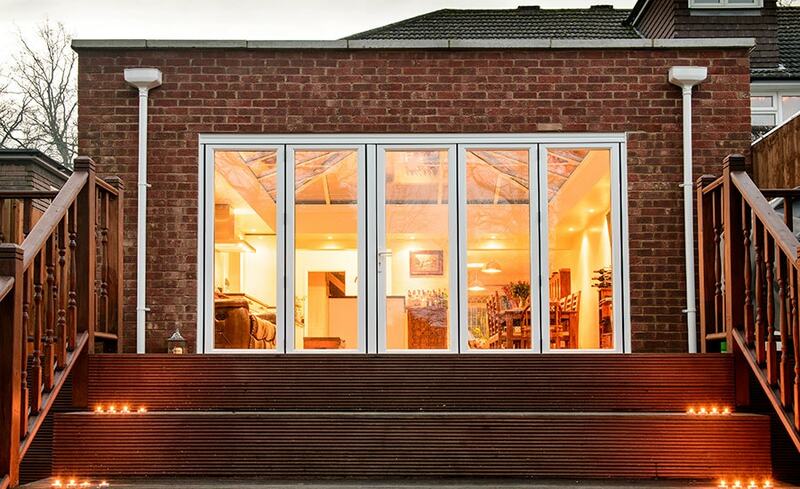 Less glass than a conservatory, orangeries ooze contemporary style. Existing or new, enjoy extra space without the need for a full brick extension. Transform your living space into one that’s usable all year. A four-sided pitched roof that makes for a bold rectangular shape. A three-sided pitched roof that captures the essence of Elizabethan times. A popular and fully-customisable style that complements your home. A feature bay window and P-shape to enjoy the garden sunshine from. A grand, gable-end conservatory that reflects the Regency era. A generously-sized T-shape design with a curved or square central bay shape. The perfect shelter from summer showers, either on its own or added to a conservatory. A period style conservatory with a bay-curved front that suits any home. What are the benefits of an Anglian conservatory? There are many benefits to adding a conservatory to your home. Conservatories add value and an extra source of light to brighten your home. Find the perfect fit for your property and choose from a range of conservatory styles available in over 20 colours. Request a quote and you’ll receive an in-depth design consultation. We’ll then install your new conservatory at a time that suits you. Keep temperature regulation in your Anglian conservatory a breeze, whatever the weather. Our Solaroof and Solarguard technologies block up to 98% of UV rays, protecting against furniture fade or damage. Take control of the temperature in your conservatory this summer. 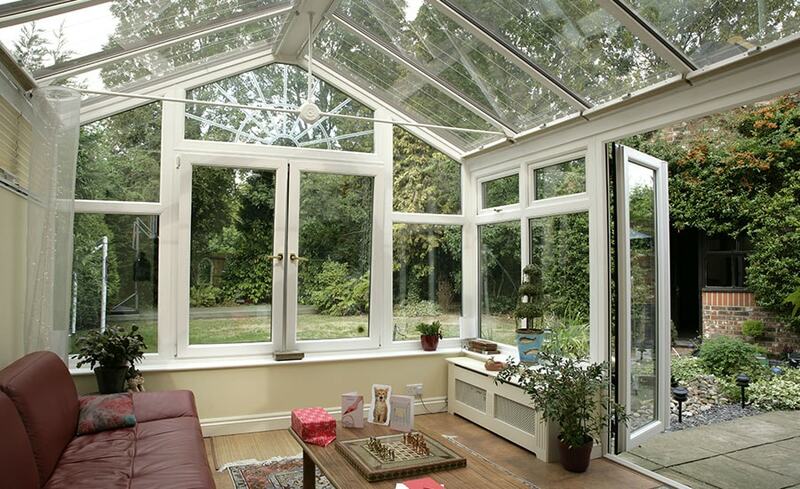 Your conservatory is finished with argon gas-filled windows and double-glazed doors. You’ll keep more of the cold out and reflect heat back in keeping your conservatory warm during the winter months. Our solid roof conservatories provide an extra layer of insulation in the winter months to create a cosy conservatory feel. Conservatories must be as secure as any other access point to your home. Installed with toughened glass, internal beading and force-resistant hinges as standard, an Anglian conservatory is a safe and secure addition to your home. Our uPVC doors and windows come with multi-point locking, anti-bump, anti-pick and anti-drill key locks as standard. The highest specification of lock available, the Yale 3-star cylinder lock is guaranteed for 10 years. 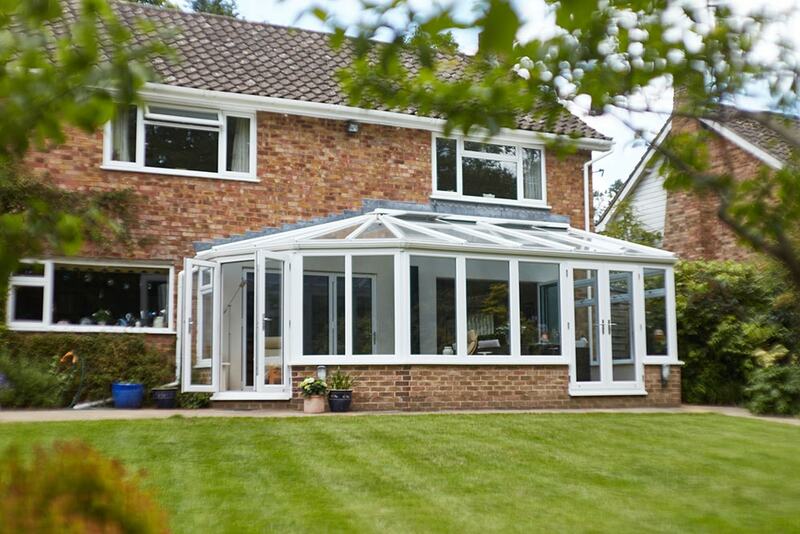 Adding a conservatory to your home is proven to increase the worth of your property by around five percent. It’s a popular choice to add light and space to your home. Choose a style that blends with your existing decor and let your interior design juices flow. Anglian take pride in a job well done. If you’re considering a new conservatory, our team work with you to ensure your vision is realised. A conservatory is a powerful asset to any house, adding light, style and space in a tasteful manner. In most cases, conservatories are considered a “permitted development” and don’t require planning permission. If they exceed the regulations outlined by the council, we’ll apply for planning permission on your behalf. You’ll be kept in the loop every step of the way. Whether you're replacing an old conservatory roof or creating a new space, we’ve got the right roof for you. Choose from a glass Solaroof, solid roof, polycarbonate roof or Anglian’s Roof System. With a wide range of materials, sizes and features available, it can be overwhelming to decide what you need. Our team of experts will give you the guidance you need to design your perfect Anglian conservatory. Spread the cost of your new conservatory with our low rate finance plan from 9.9% APR variable. Your conservatory comes with a 10-year guarantee and 15-year sealed unit guarantee. Find a like-for-like conservatory cheaper elsewhere within 7 days and we'll match the price. Most of the time conservatories are considered a “permitted development”. This means you don’t need any permission to build them unless they violate any of the permitted development requirements. You can find those here. If your conservatory doesn’t count as a permitted development, you’ll need planning permission to build your conservatory. If this happens, we’ll take care of it all on your behalf. Visit our planning permission page for more information. A conservatory is an extension of your house, so it needs to have the same structural stability. Without foundations, it could start to subside. We lay foundations as part of the conservatory building process. See our step-by-step guide to learn more about the build process. Your conservatory shouldn’t be any taller than the roof of your house or over four metres wide. But there are other regulations to abide by to ensure your conservatory complies with permitted development guidelines. Conservatories can last for decades when looked after properly. Anglian guarantees your conservatory base for 10 years and gas-filled sealed windows and doors for 15 years. There’s plenty of aftercare information on our website, or you can get in touch with a member of our team for advice. Orangeries look more like extensions than conservatories. They feature more brickwork and less windows and don’t always attach to the rear of the house. You'll find more details on our buyers-guide page. Complete the form on our website and we'll call you to arrange for an Anglian design expert to visit your home. The visit is free and there’s no obligation to order. Your local design expert listens to your home improvement plans and carries out an initial survey. The first design and your quotation will be emailed to you shortly after. We’ll send a qualified surveyor to measure-up, check floor levels and drainage. Your conservatory is drawn-up and we take care of planning permission and building regulations. Assembled in Anglian’s UK factory, your conservatory is made to order. You’ll receive updates via your preferred contact method as your order progresses. Our builders lay the foundations, damp-proofing, insulation board and top with concrete. Installers get to work on the frames, sills and roof. We ask for payment when you’re satisfied that the job is complete. Your conservatory comes with a 15-year uPVC guarantee and 10-year guarantee for frames as standard.